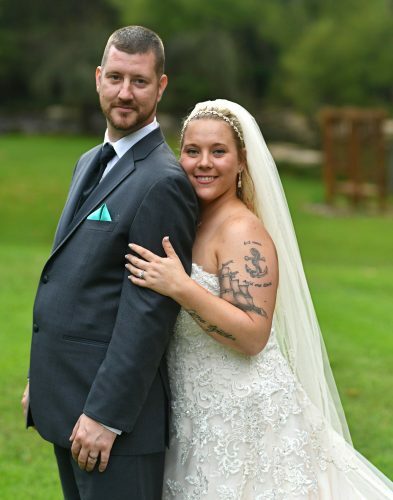 Loretta Zeth and William Welsh Jr. were united in marriage at 1:30 p.m. Oct. 15 at Sacred Heart Catholic Church, Altoona. 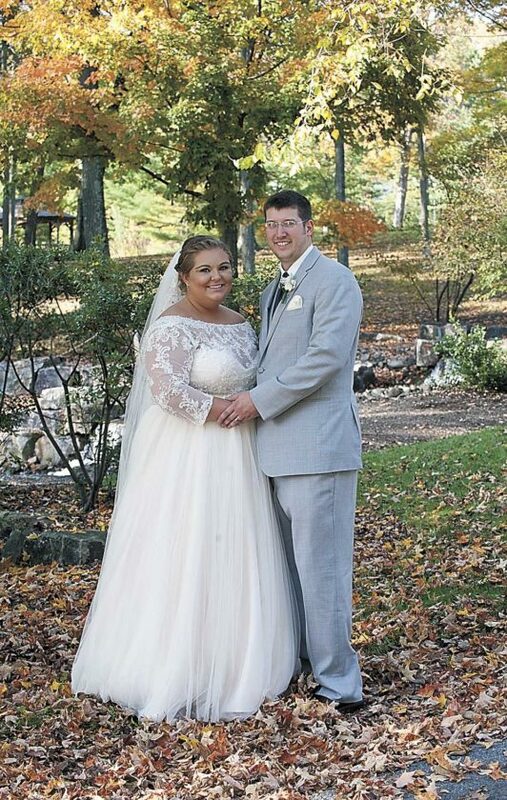 The bride is the daughter of Daniel and Anita Zeth of Altoona. 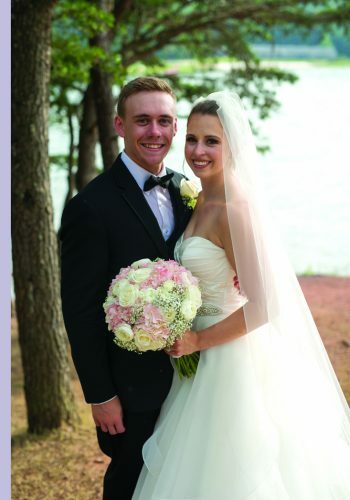 The bridegroom is the son of Judith Hughes of Altoona and William Welsh Sr. of Mount Union. Father Lubomir J. Strecok performed the ceremony. Patrick Dorman was the soloist. Jeff Arpino accompanied on the organ and piano along with Jillian Brannan with the violin. 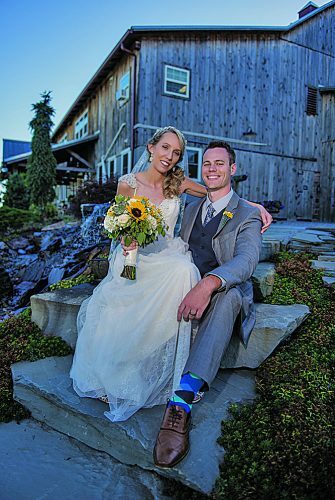 The readers were Jenalee Schenk, cousin of the bride, and Ian Brannan, cousin of the groom. Rachel Zeth, sister of the bride, was maid of honor, and Amanda Eberhart, sister of the groom, was matron of honor. Bridesmaids were Jenalee Schenk and Marissa Cooper. Flower girl was Madison Cooper. Anthony Macharola served as best man. Ushers were Robert Eberhart, brother-in-law of the groom, Greg Smith and Gary Davison. The ring bearers were Killian and Chase Keagy. 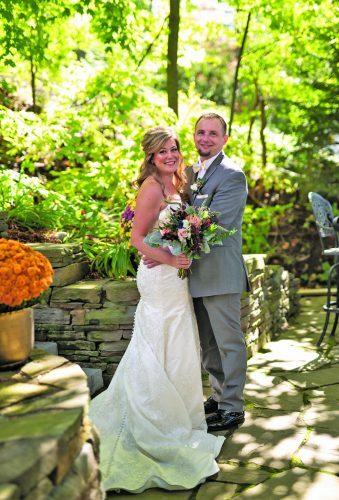 The rehearsal dinner took place at Tavern 27, Park Hills Country Club in Altoona. The couple took a wedding trip to Punta Cana in the Dominican Republic. 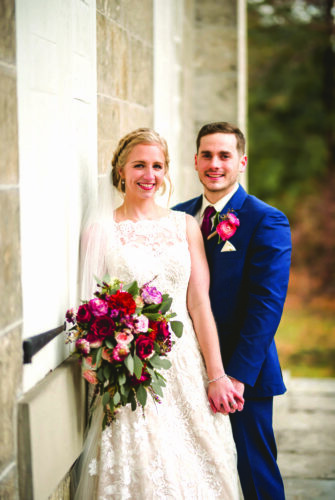 Mrs. Welsh is a 2011 graduate of Bishop Guilfoyle Catholic High School, Altoona, and received a bachelor’s degree in business from Penn State University in 2015. She is a fundraiser for Penn State, University Park. 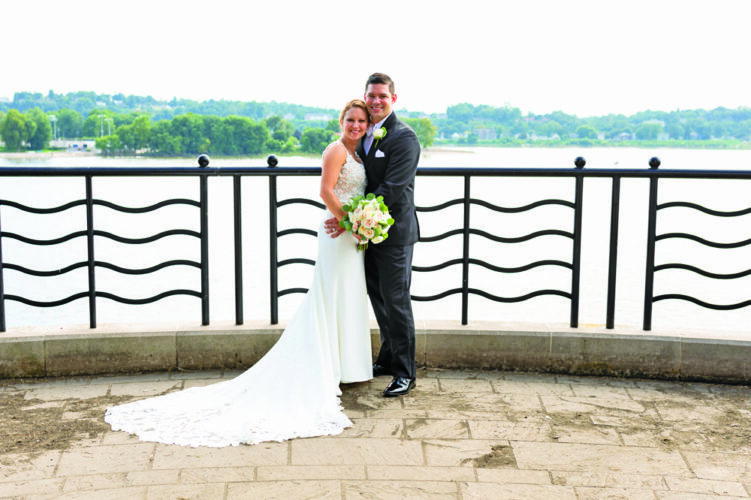 Mr. Welsh is a 2002 graduate of Bishop Guilfoyle Catholic High School and received an associate’s degree in electrical technology from Pennsylvania College of Technology in 2008. He is an electrician for Norfolk Southern, Altoona.